Antonio Conte’s harsh treatment of Diego Costa is hardly anything compared to what John Obi Mikel faced from the Italian, according to a former Chelsea youngster. Costa is currently in Brazil, while his soon to be former team-mates kicked off Chelsea’s defense of their Premier League title with a 3-2 defeat at home to Burnley. Despite finding the net over twenty times for the Blues last season, the 28-year-old has been jettisoned by Conte, and told he has no future at the club under him. 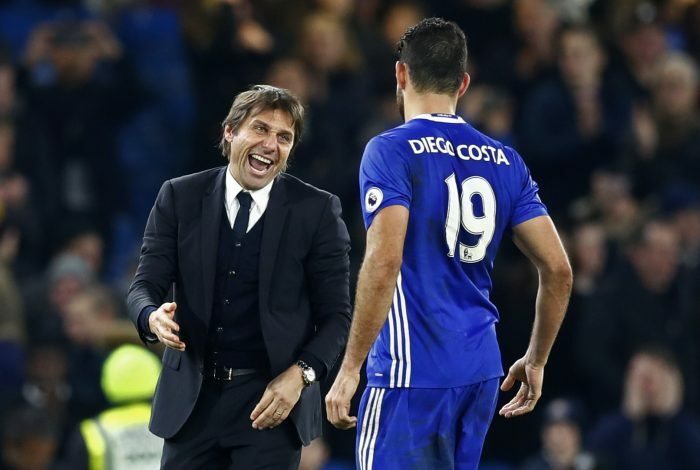 Every manager has an opinion on a player and how useful he will be to the squad, but the shocking manner in which Conte informed Costa of his decision to leave him out of the club’s plans for the upcoming season is what has drawn the most attention. The Italian informed the Spanish international that he no longer wanted him in a short text message back in June, that stunned the player and the football community as a whole because of its insensitivity. It seemed so out of character by Conte, but recent revelations have shed new light on the personality of the former Juventus boss, depicting him as a person whose sole purpose is to win trophies and who is completely oblivious to the concept of building relationships with the players he works with. After Costa hit out at the 48-year-old’s man management, former Chelsea youth prospect Emmanuel Sarki opened up about former Blues star John Obi Mikel’s abrupt departure from the club after a terrific career at Stamford Bridge. Sakri claims that the reason Conte decided to sell Mikel was because the midfielder made up his mind to represent his country at the Olympics, even though he did take the Chelsea manager’s permission before he left. Sarki told Owngoalnigeria.com: “I was told how Conte treated Mikel after his decision to represent Nigeria at the Rio 2016 Olympics. He was granted permission to go by Conte under one condition, which was ‘you might not get a look in upon your return’. “Mikel was told by the same man who granted him permission to represent Nigeria at the Olympic upon his return that his services isn’t needed anymore. Even when the coach of the national team of Nigeria (Gernot Rohr) pleaded for Mikel to be allowed to play U23 games to build up his fitness, Conte still didn’t budge.